Once again summer is almost here and nothing announces its arrival better than Memorial Day weekend! 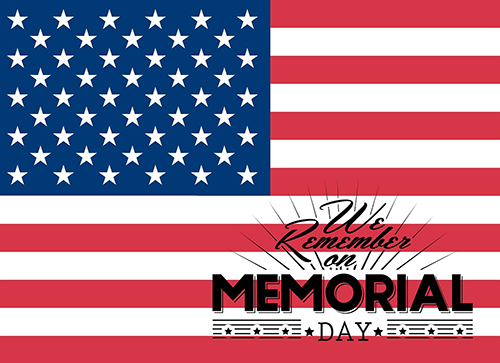 During the weekend's festivities please take some time to reflect on the freedoms we have as Americans, and remember those who made the supreme sacrifice protecting those freedoms that many of us take for granted. Please keep them, our active military personnel and the many Gold Star families in your thoughts and prayers. "It is rather for us to be here dedicated to the great task remaining before us--that from these honored dead we take increased devotion--that we highly resolve that these dead shall not have died in vain, that this nation under God shall have a new birth of freedom, and that a government of the people, by the people, for the people shall not perish from the earth." God Bless America and Happy Memorial Day!